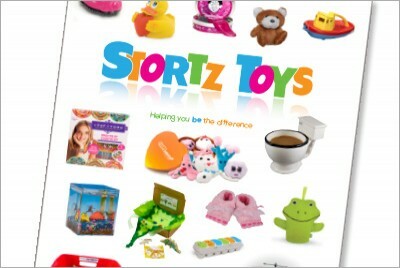 Toy Company Catalogue :: INHOUSE Productions Ltd.
INHOUSE was tasked to develop a product line catalogue for Stortz Toys, taking several hundred images in a wide range of formats and sizes, creating a 24-page full colour product catalogue for distribution at a trade show. INHOUSE has also designed and produced a number of product eblasts and also developed packaging for an exclusive product carried by Stortz Toys. See Bathpoppers under the Packaging section of this site. Catalogue designed by INHOUSE in August 2014.